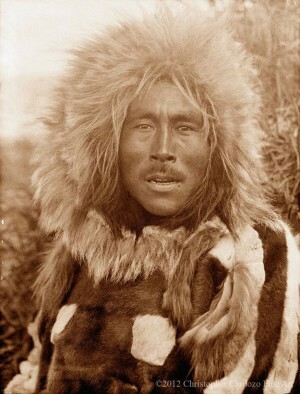 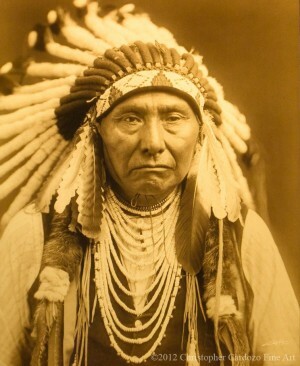 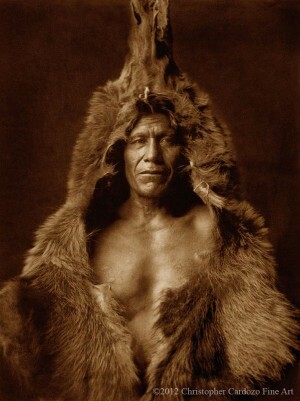 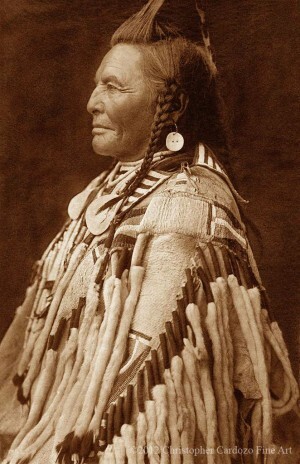 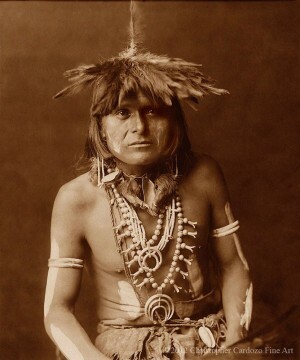 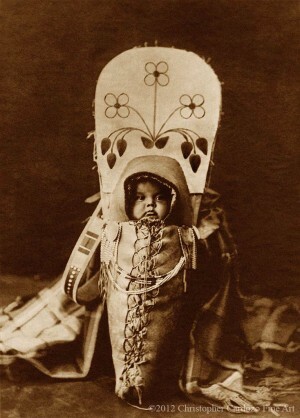 Edward Sheriff Curtis was born on 16 February 1868 near Whitewater, Wisconsin. 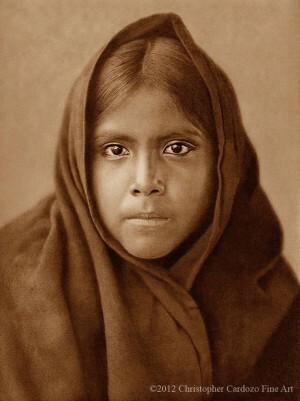 His first portrait of a Native American Indian was taken in 1895, which was of Princess Angeline (Kickisomlo), Chief Sealth’s daughter of the Suquamish Indians of Seattle. 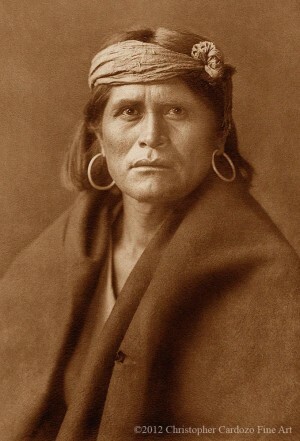 In 1898 Curtis was introduced to a group of scientists, one of them being George Bird Grinnell, an expert on Native American Indians. 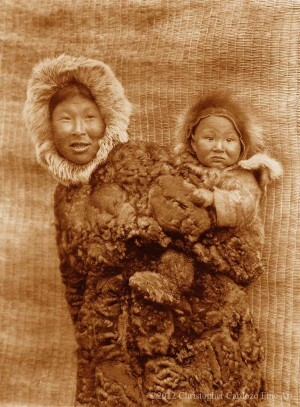 Grinnell and Curtis were invited on the famous Harriman Alaska Expedition with Curtis being the official photographer. 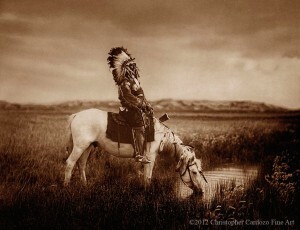 In 1900 Grinnell requested Curtis to join him on a further expedition to photograph the Blackfeet Indians in Montana. 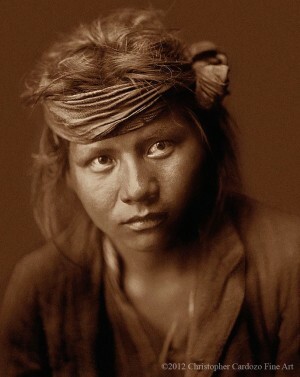 Curtis subsequently went on to document over eighty Indian tribes. 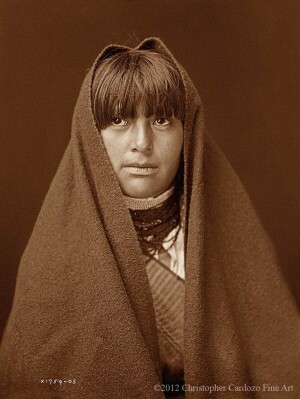 According to Curtis, his ambition was to photograph “The Vanishing Race.” He therefore embarked upon a thirty year undertaking to document Native American Indian cultures within the immensely ambitious project titled The North American Indian. 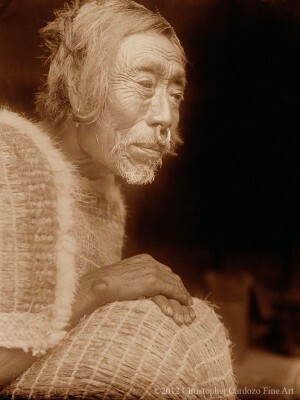 This comprised of a set of 20 volumes of ethnographic text illustrated with photo-engravings from his glass plate negatives. 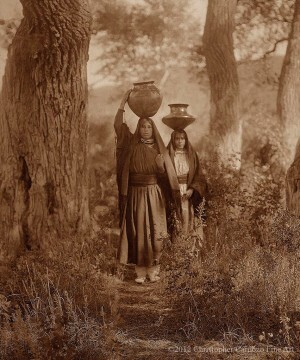 The volumes were hand bound in leather, with hand-set-letter-press text and more than 2,200 original hand-pulled photogravure prints, all printed on handmade imported etching stock. 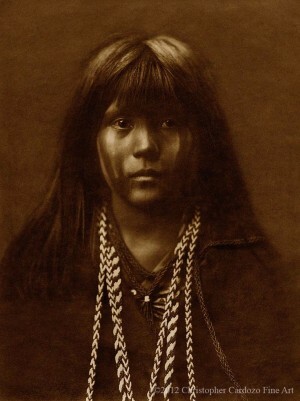 The first volume was published in 1907 and the last two in 1930. 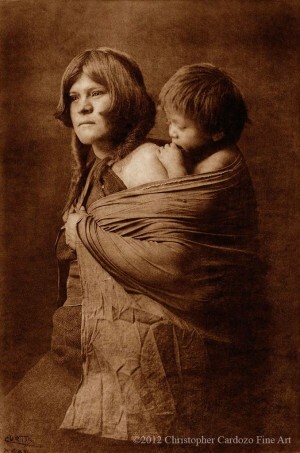 Only 272 complete sets of The North American Indian have been printed. 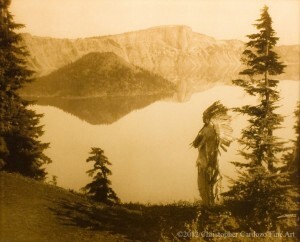 The Curtis Collection is the world’s largest collection of copper photogravure plates ever created. 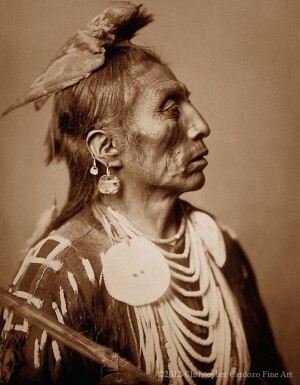 Curtis received donations and support from various sources including President Theodore Roosevelt and the railroad tycoon, John Pierpont Morgan. 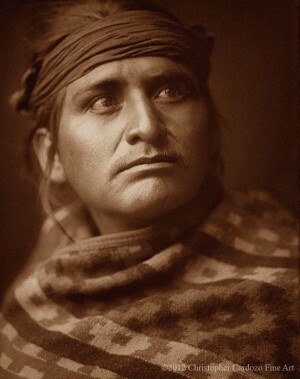 He took more than 40,000 photographs, made over 10,000 recordings of Native speech and music, produced lectures, slide shows, and a multi-media presentation titled, Curtis Indian Picture Opera, presented throughout the U.S. 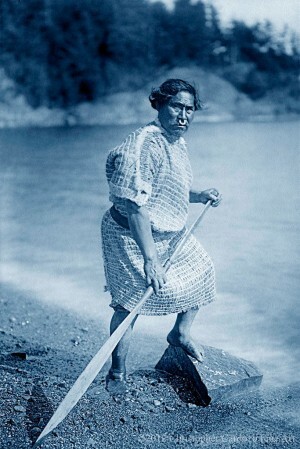 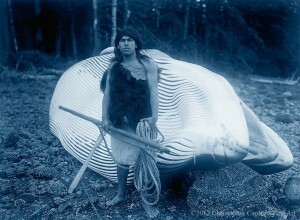 In 1914 he also directed In the Land of the Headhunters, an inventive and seminal documentary film on the Kwakiutl tribe. 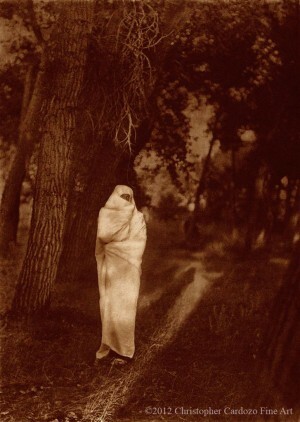 By 1930 the modest popularity of Curtis’ work had diminished and the North American Indian Corporation, the business enterprise overseeing his ethnographic ventures, soon liquidated its assets. 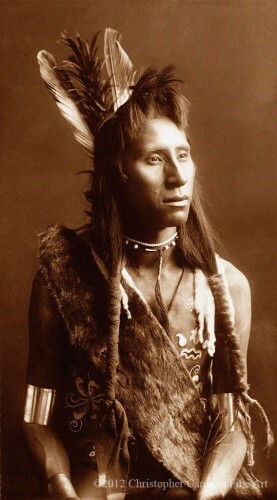 When he died in 19 October 1952, his lifework with Native American Indians had all but faded into obscurity. 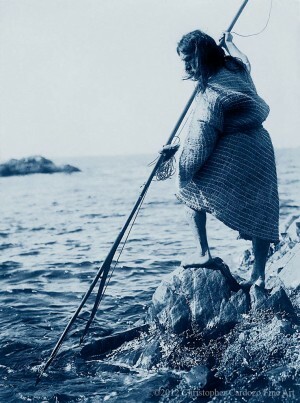 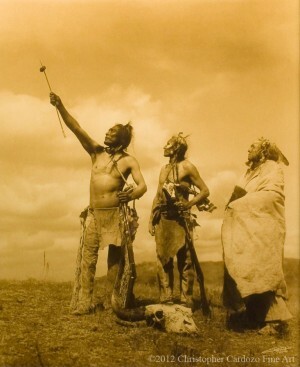 “Rediscovered” in the 1960s and 1970s, Curtis’ photographic work is now recognised as one of the most significant records of the Native American Indian culture ever produced. 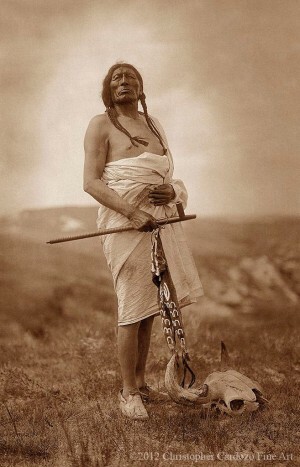 His photographs have been included in virtually every anthology of historical photographs of Native American Indians and are now frequently used in book illustrations and documentaries. 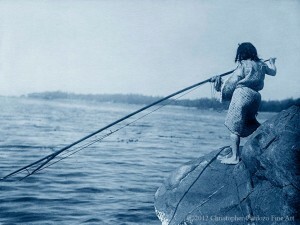 The works used within this exhibition are sourced from the archive of Christopher Cardozo’s personal collection. 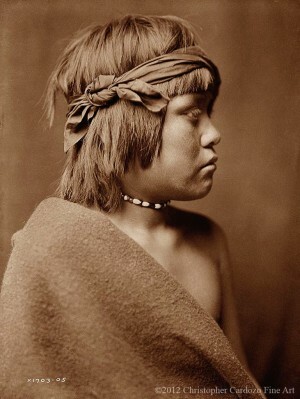 This is the largest and most broad-ranging Curtis collection in the world. 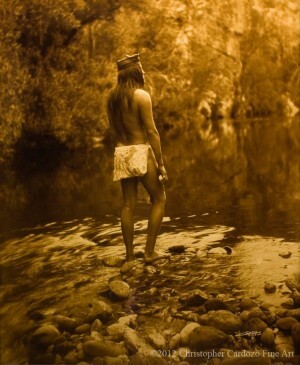 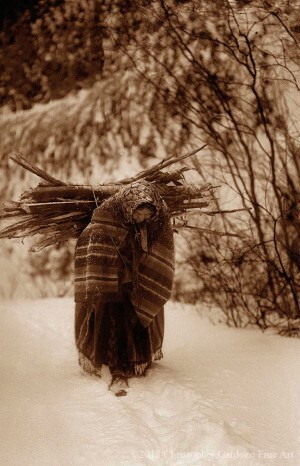 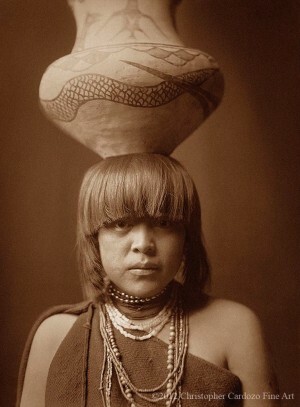 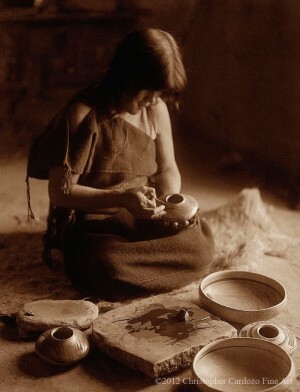 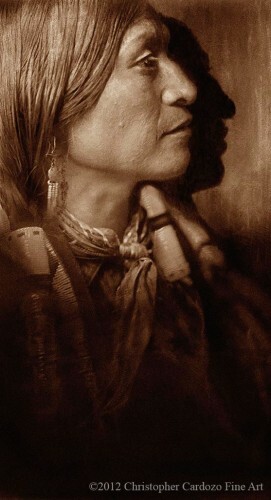 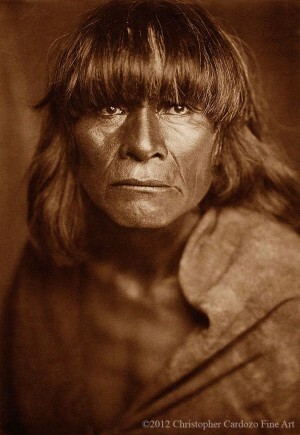 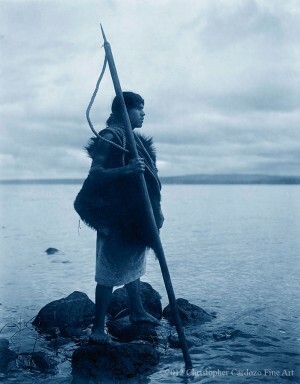 Mr. Cardozo is widely recognised as the world’s leading authority on Edward S. Curtis and his photography. 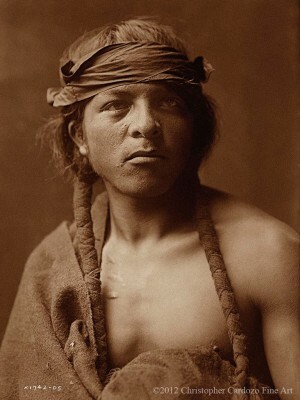 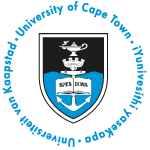 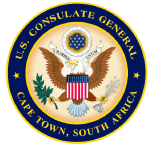 Mr Cardozo has also authored eight books and lectured internationally on Curtis.